The Economic and Financial Crimes Commission (EFCC) is a Nigerian law enforcement agency that investigates financial crimes and money laundering. The Economic and Financial Crimes Commission (EFCC) was incepted in 2003 and has been fighting financial crimes and money laundering ever since. EFCC has shown its seriousness by arresting very prominent individuals like Air vice Marshal R.A OJuawo, Patrick Akpobolokemi, Sambo Dasuki, Alex Badeh, Femi Fani-Kayode and other prominent men who turned at to be thieves. EFCC mission statement: “To rid Nigeria of Economic and Financial Crimes and to effectively coordinate the domestic effort of the global fight against money laundering and terrorist financing”. With a determined spirit to stop financial crimes which are somewhat the culture of our Government in this country, Nigeria, shall they perform their duties transparently? The truth is that a good earn by the law enforcement body would truly take their eyes away from bribery and fuel their tenacious spirits to fight financial crimes and money laundering which to me is one of the major problems which we have in this country. There is no promulgated news of the salary structure of this law enforcement agency (EFCC), therefore I cannot guarantee you the veracity of this post. 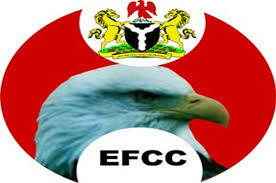 On an average scale, the Economic and Financial Crimes (EFCC) workers earn up to N50, 000 to N100, 000 monthly. This is therefore between the ranges of N600, 000 to N1, 200, 000 per annum. There are possibilities of growth in the salary of EFCC workers if they are committed to their jobs, ensuring that financial corruption does not drag this nation, Nigeria into an abyss of poverty. No Response yet for "Economic and Financial Crimes Commission (EFCC) Ranks and Salary Structure in Nigeria 2019"